Why this hotel? Top Luxury Hotel. Dramatic mountain setting. Stunning desert views. Luxury mountain top hotel overlooking the desert. 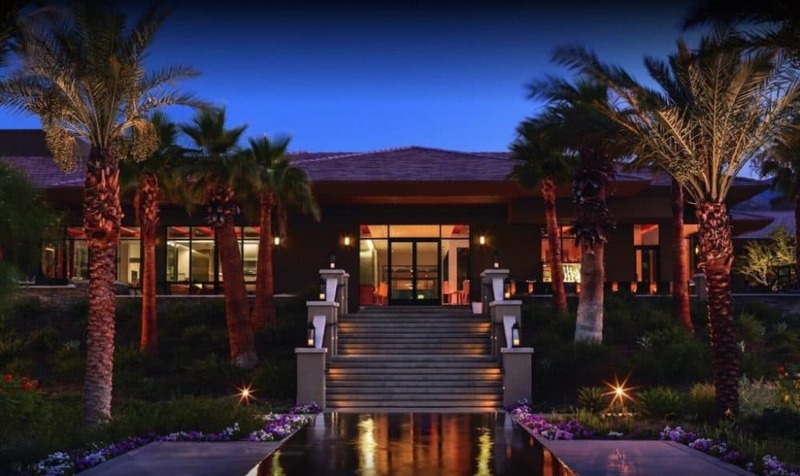 It’s located in Rancho Mirage, a city in Coachella Valley, and it’s just a 15-minute drive to Palm Springs. If you’re looking for an atmospheric setting with great views then this is hard to beat. The style is very chic and inspired by the mountainous setting. Lightly accented colours and stonework bring the desert right to the hotel. It’s very luxurious. The excellent service makes the added price tag worthwhile. The rooms are decked out with all the luxury amenities you could desire, including Asprey toiletries and 400-thread-count linens.